The leak is because ASIInputStream is being cast to a CFReadStreamRef but ASIInputStream does not derive from NSInputStream it just wraps it. 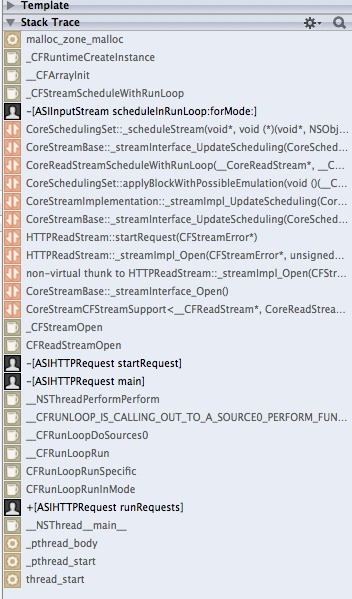 My Solution is to get rid of ASIInputStream and create a NSInputStream instead in the ASIHTTPRequest startRequest: method. 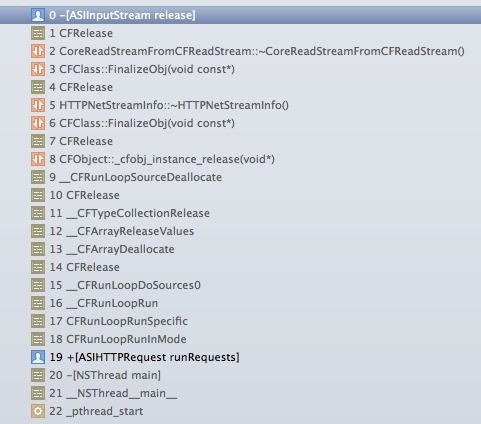 It breaks using the metrics that ASIInputStream records but I wasn't using them. I'm using a fairly old version of ASIHTTPRequest v.1.6.2 so your milage may vary.